This pretty, Adeco decorative wall hanging is a great stand-alone accent, or a wonderful focal piece for a more extensive display. This metal wall medallion made of 100% iron is sure to grab the attention of any guest that walks into the room. 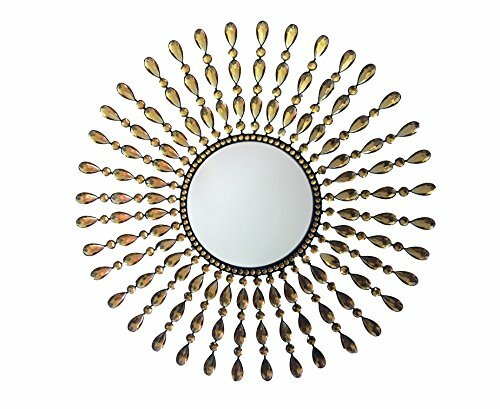 Perfect for the hall, bedroom, kitchen or living room, this versatile decoration is bound to impress. Perfect for Housewarming gift, holiday gift etc. If you have any questions about this product by Meida, contact us by completing and submitting the form below. If you are looking for a specif part number, please include it with your message.